First off, allow me to address the delicate question of turnout, boycott and blank/invalidated ballots: the elections have been won with the voices of a minority of voters, and they themselves are not representative of all Moroccans eligible to vote but did not register (or where not) for elections. Just a quick run-down on numbers: there are, according to HCP established figures, 32.2Mln Moroccans, among which 21.5Mln eligible voters. Only 13.6 of these have registered, and less than half (6.2Mln) bothered to turn up at polling stations. To make matters worse, some 20% of those made their choices in a very unorthodox manner, which leaves us with at most 5Mln of healthy ballots; In other terms, only 24% of adult Moroccans voted. 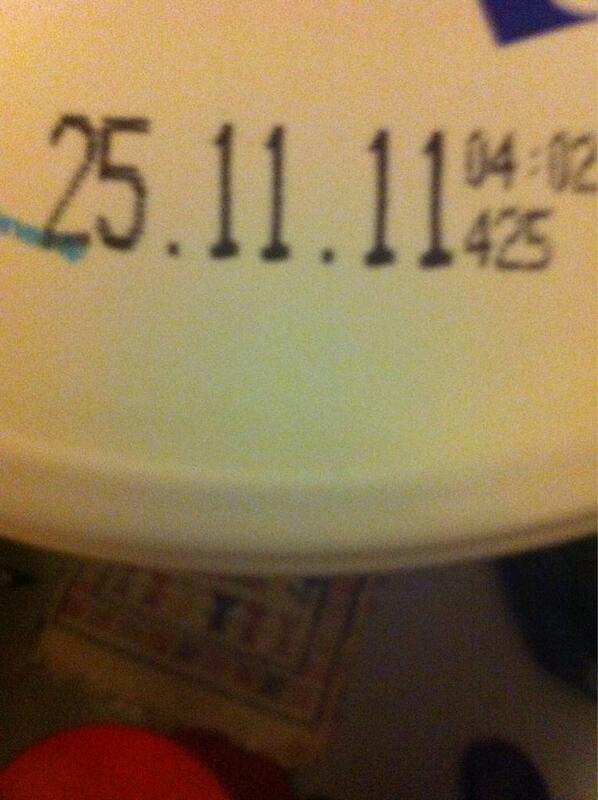 Does this invalidate elections? Definitely no. It does not weaken PJD’s legitimacy, nor does it hurt the whole electoral process‘ credibility among international organizations and significant partners; if anything, a clear PJD victory only strengthens the narrative by which the official discourse goes: Morocco is a regional exception, and regulates its own upheavals better than its neighbours. 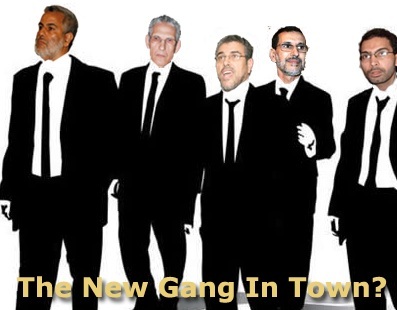 This could well be true, but when the most resolute Feb20 activists do not tire from pointing out that these elections “do not represent the Moroccan people”, they should be very cautious when they bring up numbers to buttress their claim : in absolute terms, nobody represents “the Moroccan people”, nor the Feb20 movement, nor the electoral process. As long as polls and other precise measurements to capture the mood of the nation are not there, it is wrong to state that any organization, PJD, Feb20 or otherwise can claim a mandate from the people. It so happens that in a large population that seem to display very little interest in politics, a subset has cast the ballot in favour of a party, and in a very clear manner. 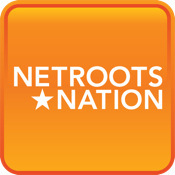 Bottom line: it does not matter whether PJD’s victory was carried with a minority of popular votes relative to the adult population, what does matter however, is that they displayed their actual strength, and it is quite significant, more significant than Feb20’s own -often gainsaid- get-out-to-protest turnout. Where did PJD gain votes? Popular votes’ figures have not been released yet, but as the complete list of the future representatives has been published, the ballot system allows for a reliable estimation of popular vote per province. Relative to 2007, PJD has performed extremely well, and could have gained a lot more seats with a stronger ballot system, e.g. ‘First Past the Post’. 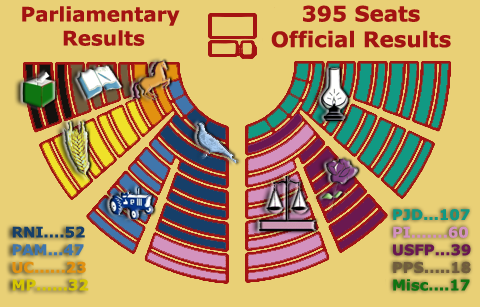 These results show that PJD was the first beneficiary of an increased house chamber from 325 to 395. The 60-seats on national ballots have usually a neutral effect on larger parties, but these constituencies allocated additional seats happened to be districts where PJD had either a strong incumbent there, or benefited from a surge in sympathetic votes. Overall, PJD still lacks the main prerequisite to pose as a “national party”, meaning, with nationwide constituency; true, PJD has expanded its support beyond their 2002 and 2007 strongholds, but rural constituencies are still a tough nut to crack. This however, did not prevent them to carry some tough districts in Casablanca, Tangier and Rabat to name but a few. If PJD manages to pull off a significant agrarian reform, they could well try and perform and even bigger upset by carrying in 2016 a province like Rhamna-Sraghna, Safi or other rural hinterlands. This leads us to the next two points I wanted to discuss: the challenges laying ahead of the maiden PJD government, and those specific to the Moroccan liberal and left-leaning radical groups. Some have engaged in grown-up politics, others are still entrenched in partisan squabbling and obsolete schemes. PJD will have to deal with a tough opposition, so as many observers have noted, outside and inside parliament (regardless of their next coalition partners, PAM will be screaming for PJD ministers’ blood during question time) but I see the real challenge elsewhere; “It the Economy, Stupid” all over again: PJD’s message before, during and after the campaign is loud and clear: rooting out corruption will bring prosperity to everyone. To that effect, their manifesto provided for generous spendings, and a 40% increase in GNI per capita over the next 5 years. The economic message is very important, not because of the author’s interest in the subject, but because the unlikely coalition that brought PJD to power is a motley of interests that unify in only one subject: the economy – how to improve standards of living and bridge income and wealth gap. 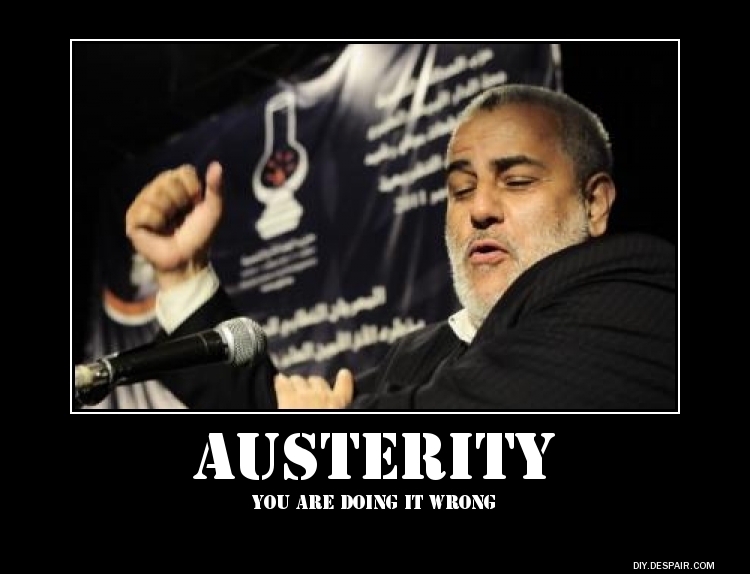 PJD has started on the wrong footing: yesterday, PJD representative and heavyweight Najib Boulif (typed off as likely government minister) has clearly stated in a Radio show on Atlantic Radio that the next government might not after all manage to perform the 7% GDP growth, at least not before 2015. This is bad news for the 40% GNI increase, because they now need a lot more than 7% to do so. We shall wait and see what PJD will do on Fiscal policy, whether they will go for economic efficiency, and not succumb to ideological exaction. I am also interested to hear how they will conciliate their pledge not to go beyond a 3% GDP deficit with their liberal-leaning expansion programs. 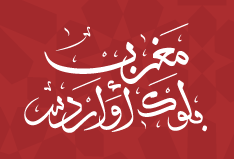 For those of you still interested in what’s Left (there goes a cheap pun) of the Moroccan liberal/radical current, I have been reviewing PSU’s platform for their next convention (to be held mid-December) and I have to confess my increasing upset at the language and the contents of what should be the party’s ideological line for the next 4 years. A mixture of renewed juvenile idealism, the fear of being outflanked on the left, and a desperate attempt to cling on the movement as a surrogate to what is perceived to be a mass social uprising have led to the release of a bizarre manifesto I absolutely feel will alienate a lot of moderates leaning towards PSU. I do not claim the party’s representative of liberal voices, but I find it quite disturbing parallel drawn between PSU’s increasing political “looneyness” and USFP’s shameless strategy to remain in government as long as possible. Both will receive retribution for their decisions: the former for the surge in excessive idealism, and latter for squandering what is left of political credibility. The election results and the movement’s entrenched and defiant posture will spell doom upon what is left of Moroccan liberalism, I fear. Dieu Et Mon Droit - Up Yours, Opposition. A Landslide in Morocco should be construed as an exceptional result compared to earlier elections: at no point in time since 1963 has an opposition party managed to scrap one-third of all seats by itself. “Administrative Parties” (usually dubbed pressure-cooker parties) did better, but they consistently enjoyed strong or discreet support from the Administration. PJD has outperformed Istiqlal and USFP when they were both in opposition. Such a victory, clearly on the merits, needs to be given credit for. Who's the Captain Of the Gang then? According to the latest results on invalidated ballots (around 20%) PJD should -but these are not official figures- carry some 1.3Mln votes. And that alone means a lot: USFP -Istiqlal in their best days, managed to set a precedent to PJD’s feat only one time, and that was in 1993. And there were two of them. First off, I need to atone for my own predictions: RNI and their A8 allies did not come ahead of the polls. PJD tripled their caucus when I was expecting them to merely double it; in my wildest expectations, I was considering a PJD conference of 80 seats on both local and national ballots. And they have done so well, it has left the next party well behind by half the number: 107 to PJD vs 60 to Istiqlal. That’s unheard of when it comes to a former opposition party switching to government benches. That is why I would call it a landslide: in an electoral map that prevents any single political party to win over an absolute majority, a roadblock of sorts further strengthened with the ballot system, PJD was most unlikely to carry a majority of seats. So a majority landslide is not what has taken place; it was rather a sudden change of political leadership, with PJD overtaking serious competitors and rising to prominence, with a very strong 7% nationwide swing (a figure that needs to be confirmed once popular votes figures are released); PJD has, it seems, taken seats from almost every other competitor while holding to their owns; I cannot recall, so far, a single PJD seat falling to someone else. Elections have been open, fair and accepted as such by may International Observers. They were not perfect or up to international standards – some 8Mln disenfranchised Moroccan citizens do not have a say, simply because they did not register. But so far, the trend observed since 2002 is vindicated: the administration tampers with elections no longer. PJD, for its landslide, still needs to govern with allies: PJD triumphant (but oddly enough, not triumphalist) leader A. Benkirane said his party was considering Koutla parties first, and all parties next to form a coalition but the ‘one’, a transparent pique directed to arch-enemy PAM. Where did PJD win over all of these seats? As far as partial results are concerned, primary gains are centred around existing safe PJD seats: PJD Greater Casablanca delegation was 7-seats strong (out of 29) it has evolved, with district boundaries redrawing and adjusted gains, to at about half of the new 34 opened seats. That’s a net gain of a dozen seats, commensurate gains have also been gained in Marrakesh (formerly a PAM/RCU-controlled district) and Tangiers; smaller gains have been registered in Chichaoua (gained from PAM) Fès, plus a couple of seats in Settat, Skhirat, and more importantly, Laayun and Oued Dahab returned PJD’s first representatives South of Agadir. Negotiations are already on the way for PJD to attract allies, with Koutla so far favoured as the new junior partner, and PAM officially announcing their decision to be the new Leader of the Opposition. Poll results have not been fully returned yet, and there is, as far as I can tell, a definite body of evidence of a PJD coronation.Not only that, but it seems Abdelilah Benkirane’s party is ahead of the pack with so far 80 seats (according to Interior Minister Cherkaoui’s press briefing Saturday 26th at around 2pm local time). With results known for 288 seats in the 395-seat parliament, the PJD had 80 seats, said Cherkaoui, whose ministry organized the election. 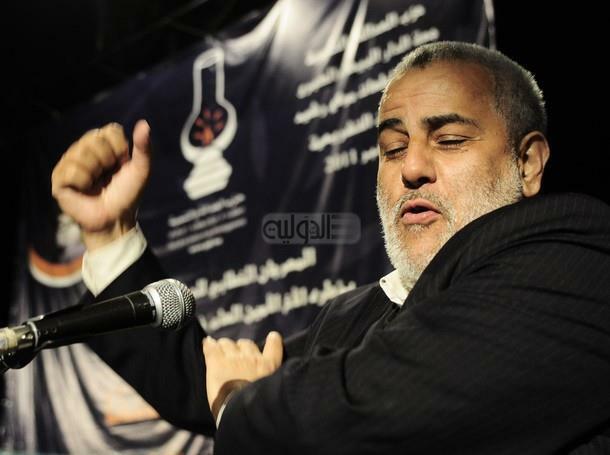 The Istiqlal party, headed by outgoing prime minister Abbas Al Fassi, was in second place with 45 seats, he said. The partial count gives the PJD, Istiqlal and two smaller parties — which said before the election they would govern as a coalition if they won — a total of 170 seats in parliament, just short of a majority. Their rivals, a grouping of eight liberal parties with close ties to the royal palace, lagged behind with about 112 seats, according to the partial vote. 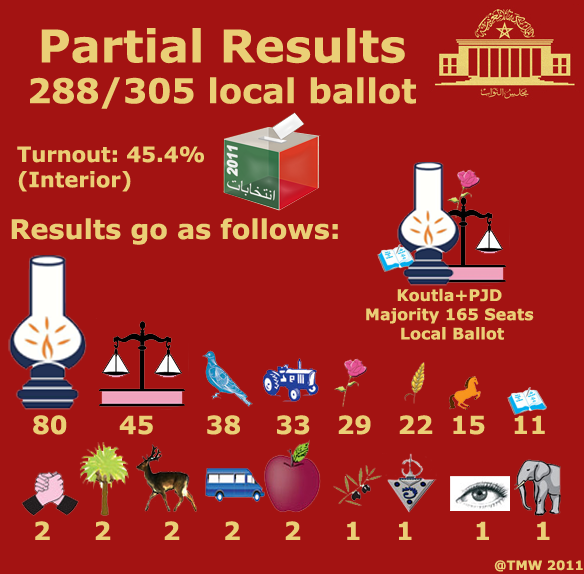 Now, whether PJD can for a government on their own is very unlikely, but if they do get to form a coalition, Koutla (USFP, PI and PPS) are more than willing to provide the remaining seats for a majority, and they can: these parties and PJD muster at least 165 seats on local ballot, and can more than make up for the remaining 33 to carry an absolute majority, the magic number of 198. 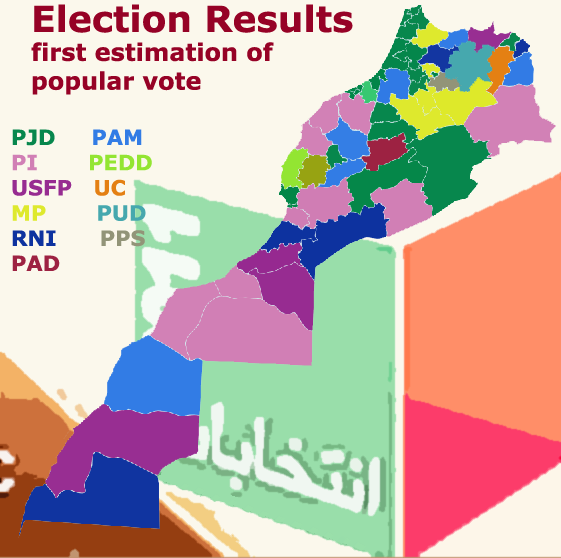 I have to admit I have been wrong: though I was confident PJD would not only hold their seats but acquire new ones, my assumptions were nothing compared to this magnitude: Casablanca, Rabat, Tangiers, Fez, even Marrakesh yielded very strong results for PJD candidates, and more symbolically, PJD managed to carry two seats with a constituency It has always failed to capture; It is now clear PJD has at least 2 seats, a rather strong footing in Sahrawi provinces. Today is the big day! Moroccan will flock en masse (or perhaps, not) to polling stations and vote for 5,392 candidates on local ballot, whose own results will condition the outcome of another 1,710 candidates (Women and ‘Young’ Men) on national ballot – all in all, 395 seats are in-game, and behind it, a coalition ready to muster a 197+ seats strong caucus as its supporting parliamentary majority. The campaign has proven authorities are losing their grip on media regulations: the amount of videos uploaded and share on social networks and websites have exploded over the last week, fanpages, groups, leaflet scans have flooded the Moroccan internets about the same way paper versions pollute the streets and neighbourhoods of Moroccan cities and villages. On the other side of the barrier, pro-Boycott Feb20 movement has found itself more or less reinvigorated once again with a clear goal; random arrests, and aggressions targeting Feb20 activists only strengthen their resolve in seeing through tomorrow’s polls with the lowest possible turnout. Thanks to a sneaky law passed weeks before elections, no serious polling could have been carried out to take the nation’s voters into confidence, and figure out the broad trends – we had instead to content ourselves with ill-defined, mysterious polls prepared by Hudson Institute and Thomas More think-tanks, with no particular insight on method, or the sample’s representativeness relative to overall population. The available pool of candidates has improved a bit with a majority of them holding college degrees; larger districts, like Casablanca, Tangiers, Rabat, Marrakesh and Agadir alone show an average 55% percentage of college-degree candidates, with figures as low as 49% in Tangiers or Marrakesh. The next batch of representatives is most likely to have a higher education level: I am confident at most 23 seats will be filled with representatives lacking formal education (that’s a scenario whereby all 23 of them manage to carry enough votes on the ballot); They might not be as young as we would like them to be, but many of them will certainly bring a fresh perspective, 87% of them are running for the first time (or are not incumbents running again for office); on paper, at least, we shall certainly have a relatively renewed Legislative body; whether they can fulfill their assignment as the people’s representatives is a matter of debate: needless to say that parliamentary representatives are usually left by themselves when it comes to scrutinizing the Executive, due to a lack of coherent parliamentary leadership and a sheer lack of resources to carry on with their duties: committee hearings do not carry meaningful resolutions, they cannot impeach a civil servant or a minister; they do not even initiate a lot of bills. So a batch of fresh representatives could do wonders in shaking old parliamentary proceedings. What about the pro-boycott side of the story? I’m not pro-boycott myself, but in the event I was there, I’d most probably go to the polling station, and slip a blank ballot. I like to think voting is a matter of principle (an individual decision that does not carry judgement over what others could do) and a statement about how I believe things could change; through the ballot – I deplore the legislation curtailing polls, I abhor the abusive interpretation of the law that results in brutal crack down on pro-boycott activists, but just as July 1st referendum results have proven, all-out boycott does not advance the cause. 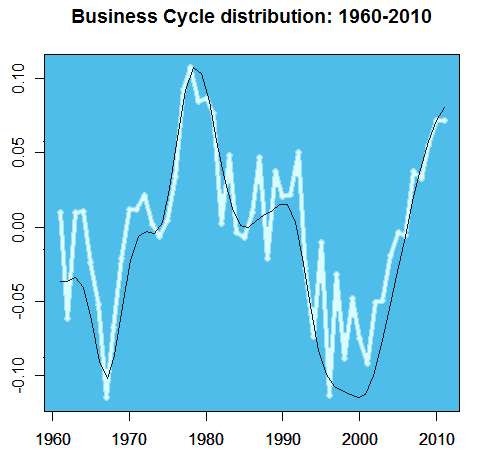 This post will consider a finer estimating of Moroccan business cycles – with some statistical device economists do not usually use (so I’ve been told) to get a smoother estimation of business cycles. Primary results (expatiated in an earlier post) still hold, though because they remain a raw estimate of business cycles in Morocco, fluctuations are influenced by seasonality, extemporaneous events, and other ‘white noise’ effects we seek to minimize with such computations. Now, it does not really matter to express these numbers of terms of GDP size, or Business revenues – this is in fact a computation on relative terms of change – in facts, there is little use of these computations in monetary or volume terms, because they have been originally computed on log-based real GDP per capita. 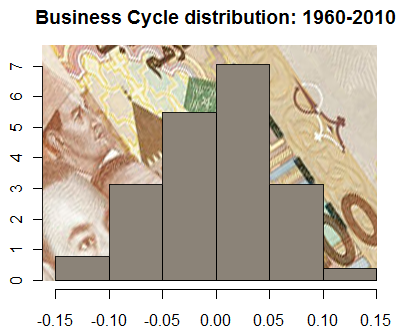 This however, does not say business cycles are normalized, and when smoothed, the graph shows the next couple of years cannot do better than the best years of Moroccan economics, and these turned out to be the prelude to two decades of painful adjustment and recovery: the mid and late 1970s saw the widest variance from the long-term growth, and no period of Moroccan history managed to reach that level, and there is a reason for that. The 1975-1983 period was the high water-mark of an indebted economy, fuelled with generous subsidies and Phosphates revenues: Guaranteed debt relative to GNI was 1.93% in 1974 (around the same number, 1.95% in 2010) Morocco was pouring money into the new Saharan provinces, investing in non-productive assets (like military equipment) and relying more and more on foreign borrowings to make up for the shortfall when the Phosphate manna dried up. Are we experiencing these conditions again in 2011? Debt is increasing to around 54% of GDP, and there are a lot of investments going around, enough to doubt their direct impact on productivity, at least on a 3 to 5 years basis. Assuming Morocco keeps up with its current growth, there will be a time one macro-variable will falter, or exhaust itself. I would go for public finances or real estate development, but the thing is, the current business cycle starting from 2000 will come to an end in a couple of years; unless some positive externalities kick in. By that, I mean the trend growth shifts up, thus re-adjusting computations, and allowing for the expansionary cycle to continue well into as many years as these externalities can influence. Otherwise, and that seems to me to be the most realistic scenario, given an expected slumping global demand for Moroccan exports, the economy will fall into a contraction cycle. While the systemic effect explains a lot in the next progressive halt in business activities, domestic indicators could well signal the end of expansion. – Moroccan officials have agreed to IMF to carry out fiscal consolidation measures; that means budget cuts and austerity measures. Slimming down government is not always bad for households and businesses, but we in Morocco do have a reputation for botched reforms that quickly turn into economic recessions. This, of course, is not as bleak as I make out; there is always a chance to focus on structural policies, redistributive fiscal policies (and that includes targeted tax cuts to small businesses) any policy, in effect, that would produce good results even in times of low growth; the salient point of such policies is however, a permanent transfer of wealth from super-wealthy households to the remaining population. So unless the authorities do not want to run the risk of a 1981-1984 re-run, they should consider more than a laughable 2Bn ‘solidarity fund’.